Some days working at the yarn shop just cracks me up. This weekend, starting today, is the yearly Old Songs Festival at the local fairgrounds. Every year there are some new customers who discover the shop while attending the festival but also “regulars” who only come to the shop once a year when they come to the festival. Today there were a couple of new people, along with some local knitters, hanging out in the shop waiting for the festival to start at 3:00. There was lots of lively conversation that turned into a discussion about marriage and how long various people have been married. There was a knitting couple there and the woman said that she and her husband had already discussed that they were staying together no matter what because 1) Divorce is expensive and 2) Murder was not an option for her because they do not allow knitting in prison and there was no way she was giving up knitting because of any man. Cracked. Me. Up. I’m happy with how it turned out and it will go into the Multnomah display at the Altamont Fair. Not to be judged, just to be admired along with the many other versions of the same, popular pattern. 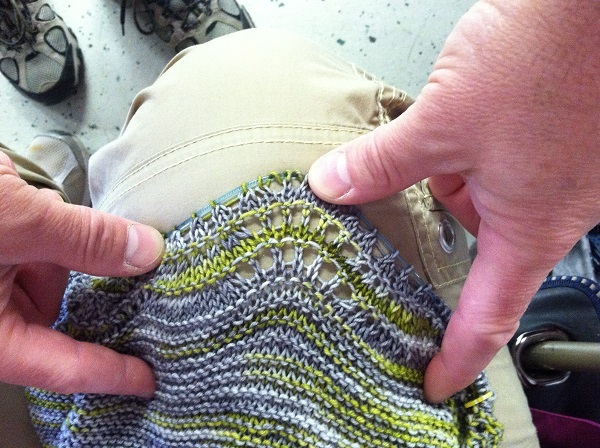 And tomorrow I will teach a class on how to make this shawl so that others may enter it into the fair or display! If you are local, there are two spots left – no homework so coming last minute is no problem. See how on the left part of those arched-looking holes, the holes don’t line up? Argh. Ripped out four rows of about 250+ stitches. I did find that I had done something wrong but it wasn’t where those holes didn’t line up. It turned out that those holes are not supposed to line up. I took out three rows too many. Double argh. FYI: if you thought I didn’t make “rookie” mistakes because I knit a lot and have been knitting for a while, you would be wrong. Rookie Mistake #1: Not double-counting my cast on stitches and having the wrong number when doing an important increase-evenly-across-a-row instruction. 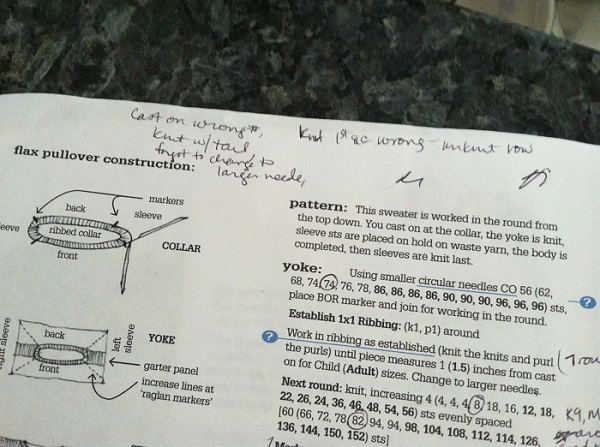 See how I circled the number 74 up there in the “yoke” section? Since there are so many sizes, one should do this so you don’t mix up what number you have to knit in the various parts of the pattern. Yup, I circled 74 just like I was supposed to….and cast on 76. 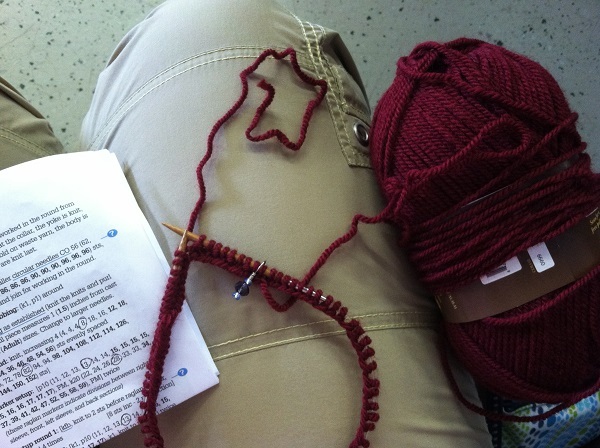 Rookie Mistake #2: Getting all the cast on stitches worked out and then knitting with the tail of the yarn instead of the yarn going to the ball. 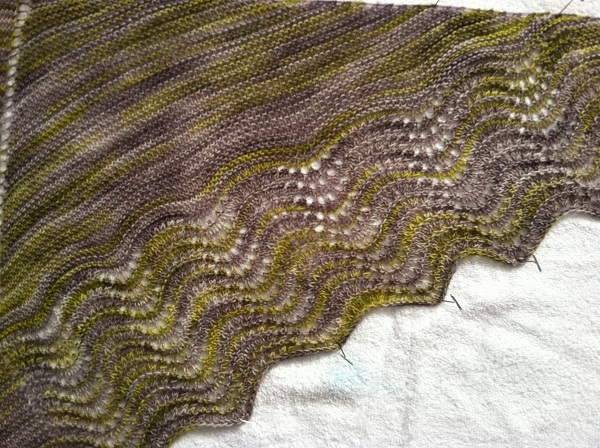 In other words, I ran out of yarn real fast by doing this since the tail is only about 12″ long. Too long, and Rookie Mistake 2 1/2 was not cutting the tail so that I would not knit with it by mistake. 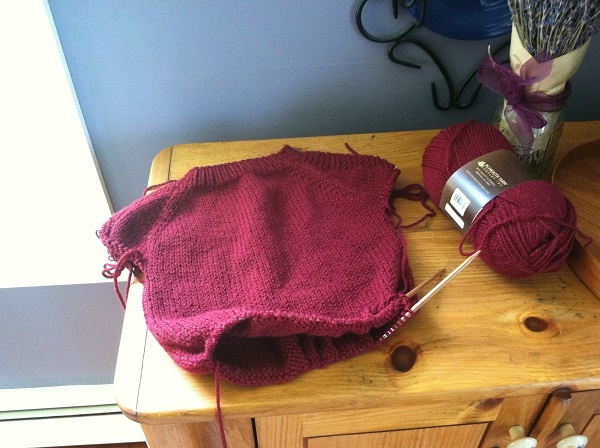 Rookie Mistake #3: Finishing one inch of ribbing for the neck with my size 6 needle, then moving on and completing the next row before realizing I didn’t switch to the larger size 8 needle like I was supposed to. Rookie Cocky-I-Know-How-to-Knit Mistake #4: Not reading the pattern and knitting the first section of the next row wrong. It’s a cute basic sweater with some simple garter detail down the sleeve and comes in sizes newborn to men’s XL! 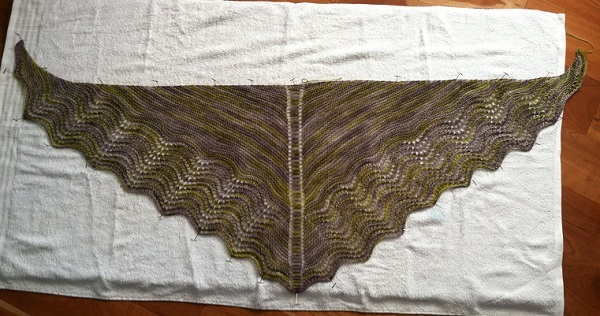 This will be a Christmas present for a doodlebug but also a class in the fall – perfect project for a first sweater. I was so excited about the color that I snapped it right up. I wound it up at the shop today, intending to start something immediately. Like, today. I just don’t know what it will be yet so, now I’m off to figure it out! 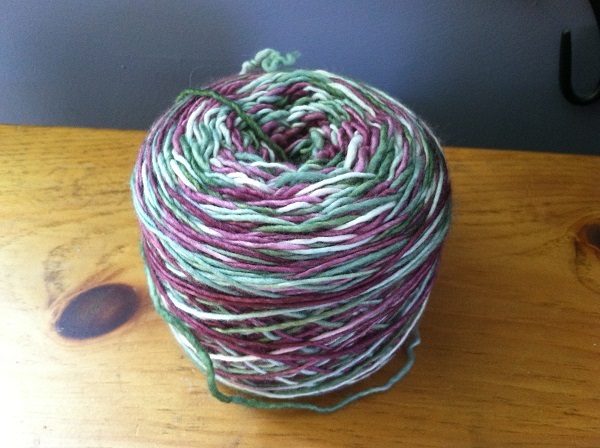 Posted in Uncategorized and tagged flax, knitting in prison, multnomah, old songs, periwinkle sheep, single and looking on June 27, 2014 by lizytish. 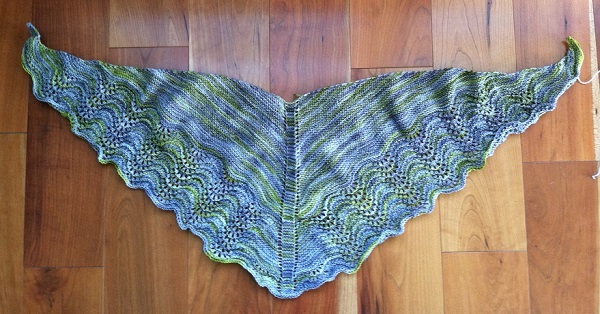 The Multnomah worked up beautifully in the Cracks in the Sidewalk color way – really pretty. I enjoyed the catalog of mistakes. 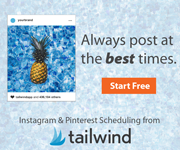 You recognize, fix and move on swiftly – that’s a gift! P.s. There is a knitted version of Martha’s poncho, too. But, of course, it can’t be made in prison. What? There is no irony font? No irony font! Ha ha! Too funny Libby! I remember that poncho – didn’t know there was now a knitted version.